Clark's Greenhouse in San Jose is quite a tourist attraction. Entering their greenhouses puts you into a different world of color and beauty. 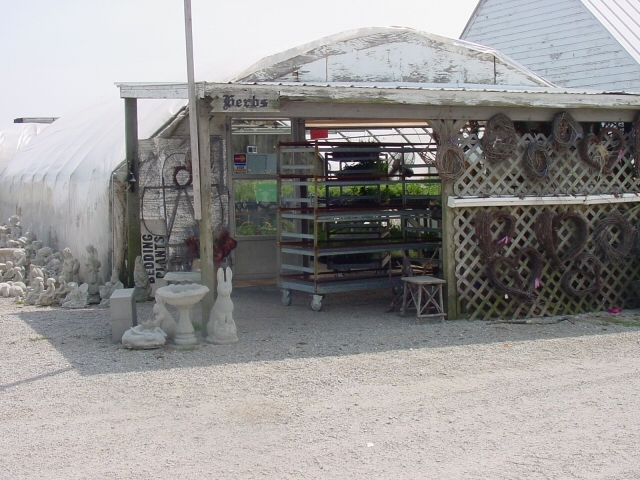 Their specialty is an enormous collection of quality herb plants. A shot of just part of their gorgeous herb collection. 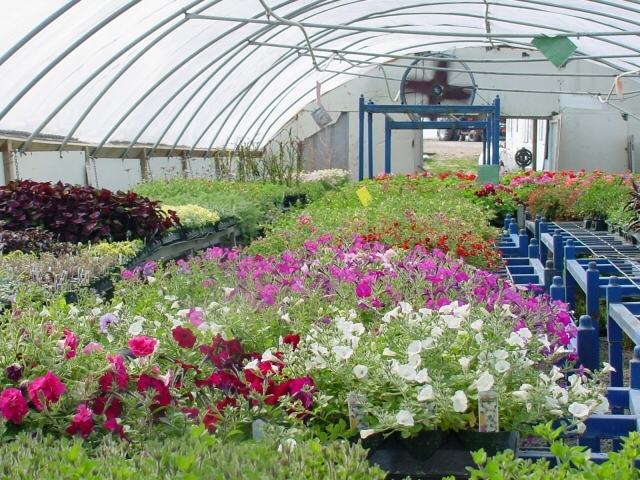 Every year Clark's Greenhouse also puts out a large selection of both flowering and fruiting annuals. The colors will really appeal to your senses. A collection of perennial daisies in different colors. Of course, Clark's Greenhouse offers a wide selection of geraniums including scented and vining. They offer a wide selection of hanging plants. What annual crop would be complete without a wide selection of pepper plants? and Clark's is big on tomatoes (and their tomatoes are really big).